Before your guests arrive, plan out where you’d like everyone to mix and mingle before dinner is served. We love the idea of having everyone hang out in the living room. You can put on your favorite music hits of 2017 or even a classic movie everyone will love. This is also where you can set out nibbles. Place trays of appetizers atop ottomans or poufsOpens in a new window. This will bring a cozy element to your party, and keep everyone out of your hair while you put the finishing touches on your epic pasta dish in the kitchen. 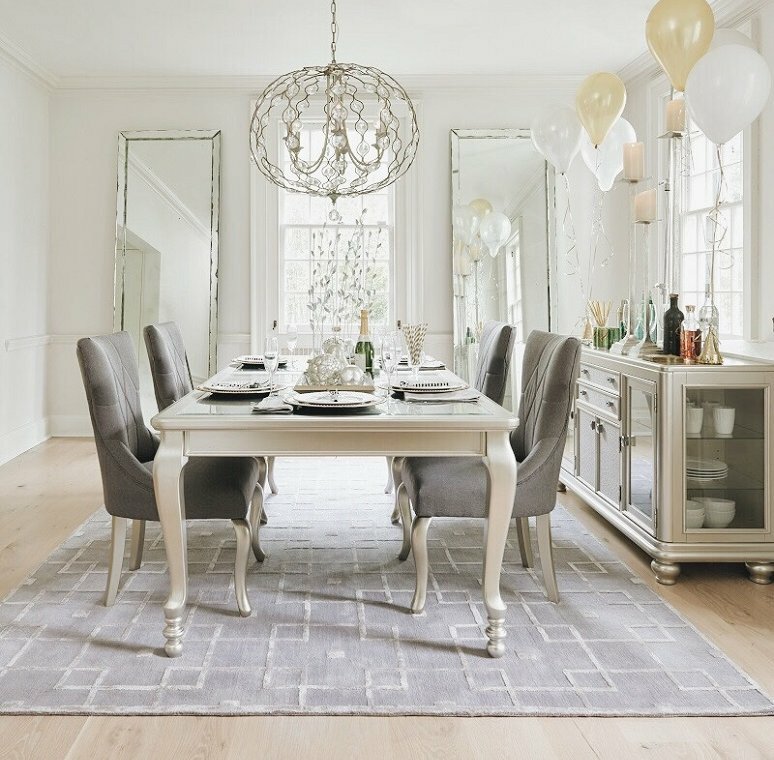 To really set your dining tableOpens in a new window apart, decorate it with a New Year’s Eve theme in mind. Make a centerpiece out of noise makers, place flowers in an empty champagne bottle and give everyone a fun hat or tiara to wear. 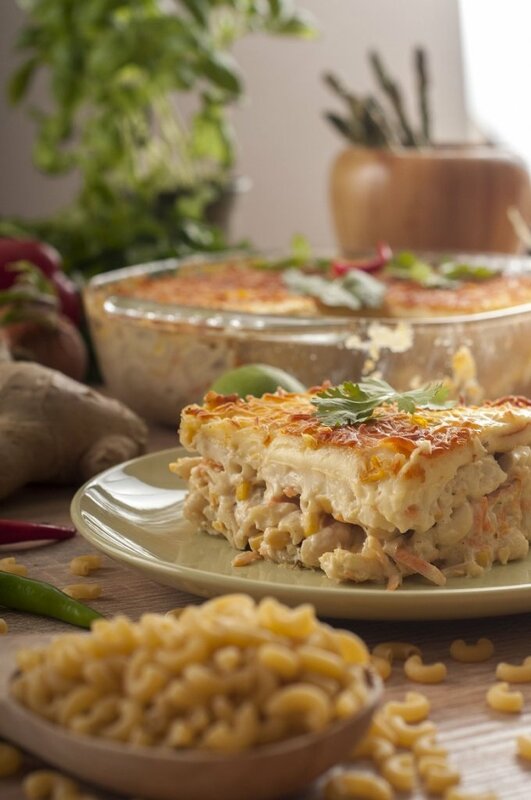 Once the lobster mac and cheese is golden brown and ready to be served, have everyone sit down and raise a glass. Here’s to 2018. May all your pain be champagne. Cheers! Take heart in the fact that you’re not alone. Few couples find instant harmony as they “combine their assets,” so to speak. Not to worry. Consider this an opportunity to collaborate on a common goal: great style that works for both of you. We’ve all heard the term, “eclectic style,” the concept that it’s OK to mix and match. While that’s very true, there’s a fine line between cool eclectic and flea market hodgepodge. If your styles are highly different (e.g., he likes European traditional while you love loft chic style), one of you is going to have to give up more than the other to make it work. Think of it as the 80/20 rule. 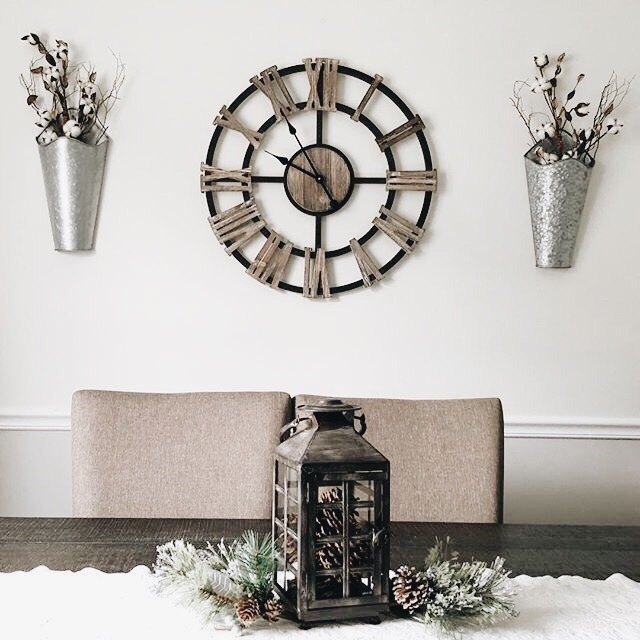 As long as about 80% of your room decor conveys a particular style, you can accessorize and really play around with that other 20% by incorporating some very different style accent pieces. Say he’s bringing a very expensive dining room set to the table. He loves it, and he paid a lot for it. So it’s staying. But it’s not quite you…too heavy, too traditional, too dark. Here’s an idea: elevate the space with a light and airy wall color…a crisp white or maybe even a sky blue can be instantly uplifting. The right accessories like accent tables, lighting and wall art can bring the space closer to your style. Looking to modernize the traditional? 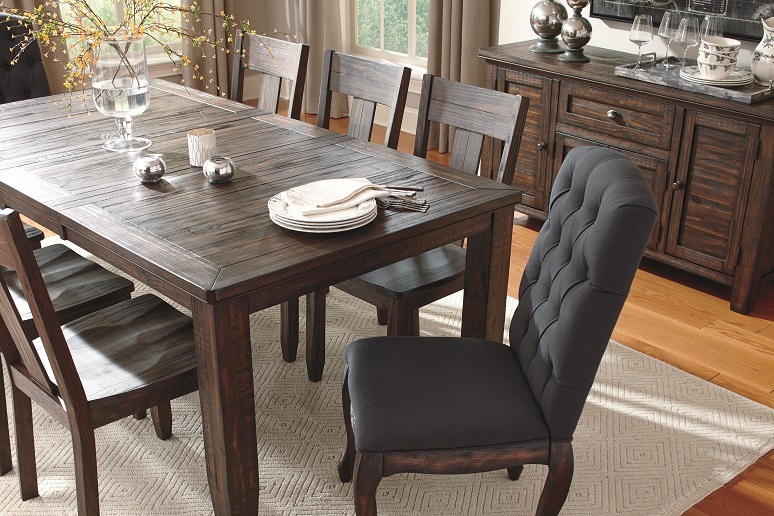 An inspired choice in upholstery furniture, curtains or floor coverings can weave the “old and new” beautifully. Take, for example, rugs. A bold striped pattern or something “organic” with a flowing feel is still restrained enough to play with traditional furnishings. It’s just got a fresher, more contemporary slant. When you’re trying to merge a lot of different elements, consider the three Cs: color, consistency and commonality. Color and consistency: If you think you have a “lot going on” in a room, an easy rule for tying the look together is to have a consistent thread throughout the space. Say that dining room set of his has upholstered chairs. A particular color in that upholstery might be an inspiration. Sprinkle that color throughout the space using pillows, throws and accent pieces to create your signature design. Bright Idea: Check out our “How to Create a Gallery Wall” and “Going for Gold: Decorating with Metallic Gold Accessories” blogs for even more tips on how to liven up your space. We’ve devoted an entire blog to the theme of getting a mattress that works for both of you. Check out “How to Choose a Mattress with Your Significant Other” to find out more. 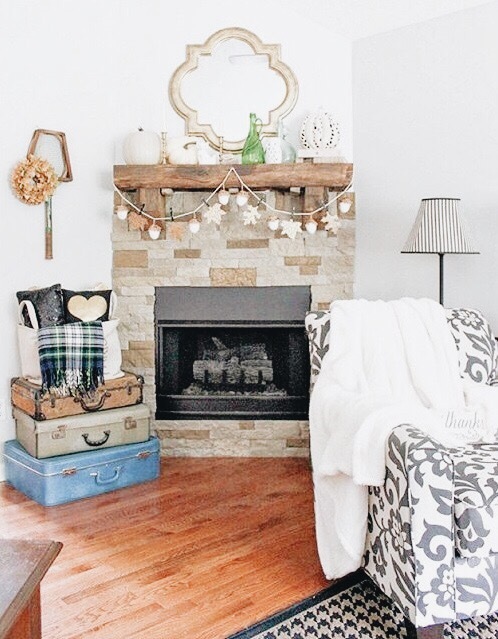 And don’t miss our partner blogger Jenna at Visions of Vogue who did an amazing job restyling her living room using exclusively Ashley HomeStore furniture! These are just a few of the ways you can each express your individual tastes in a highly cohesive fashion. Most importantly, have fun and let your creativity shine! 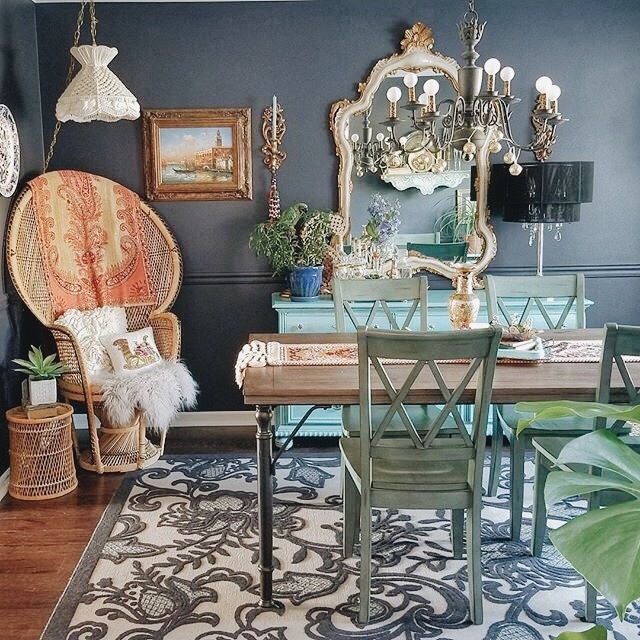 If you’re feeling the need to satisfy your boho chic vibes, we’ve got ideas on how to go boho in 3 rooms: the dining room, living room and bedroom. 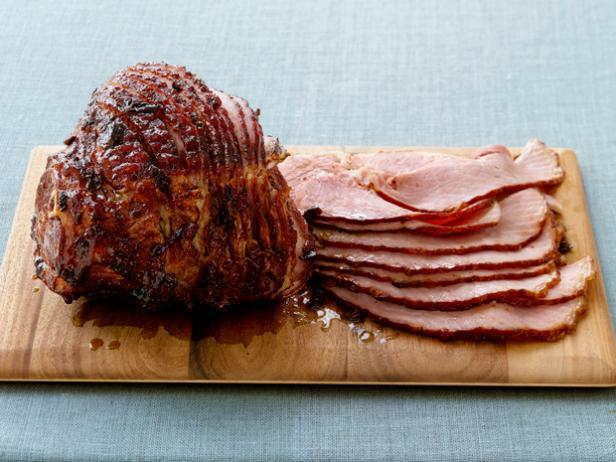 Celebrating the season doesn’t have to be daunting. With just a few simple additions, you can transform your everyday mantel into a fall focal point. Sprinkle in some seasonal and dried greenery. Add texture with gourds, pinecones and some fruit. Swap out your existing floral and add some seasonal sprigs. How’s that for a fall focal masterpiece. Rustic warmth reigns supreme with this exquisite pair of deer candle holders. This remarkably realistic artificial fruit looks good enough to eat, doesn’t it? Galvanized metal pumpkins,: what a gourd-eous addition to your seasonal decor. Talk about instant romance. Flameless LED candles that turn on and off by remote control are sure to safely enhance your seasonal mantel. Fall’s cooling temps call for bringing a sense of the outdoors inside. 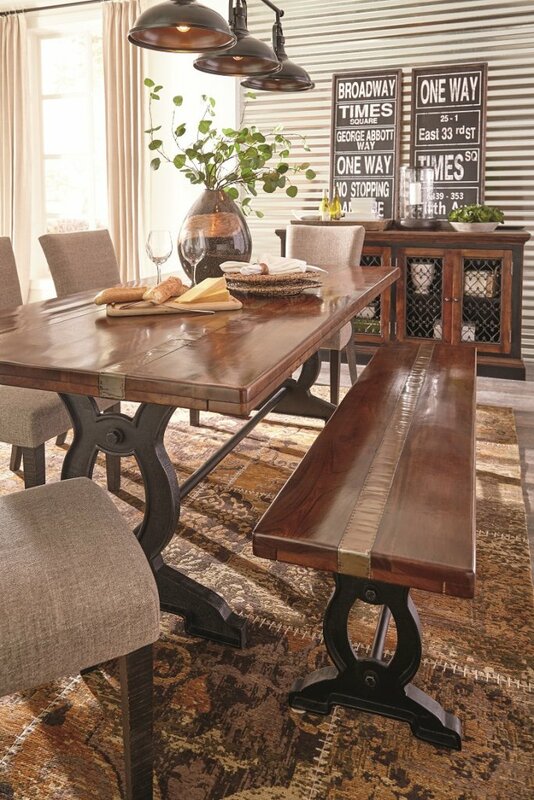 Rustic yet refined wood accents naturally work for your seasonal mantel. With its rich seasonal hues and shifting light, this wrapped canvas wall art is fall…all the way. 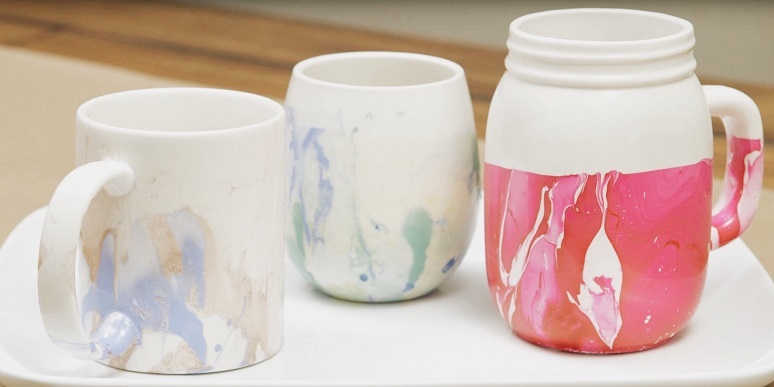 We have a simple and fun DIY marbled drinkware project. 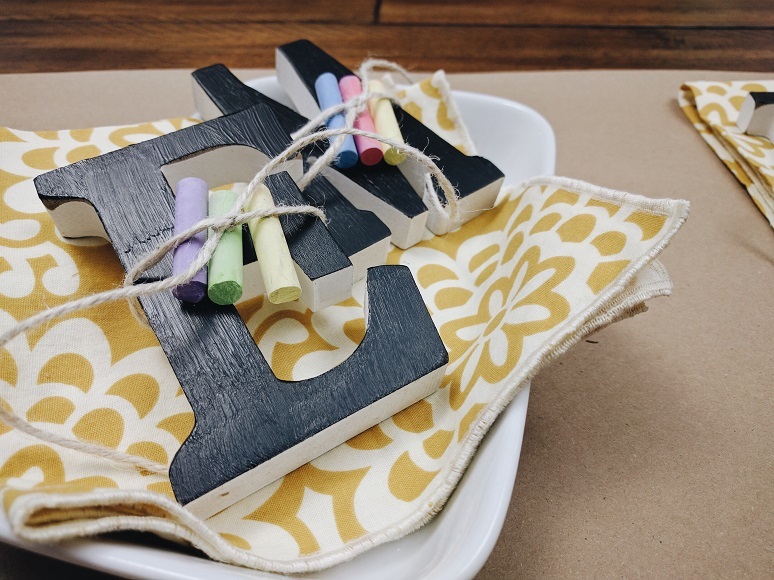 Break out your nail polish and a set of white mugs and start crafting. 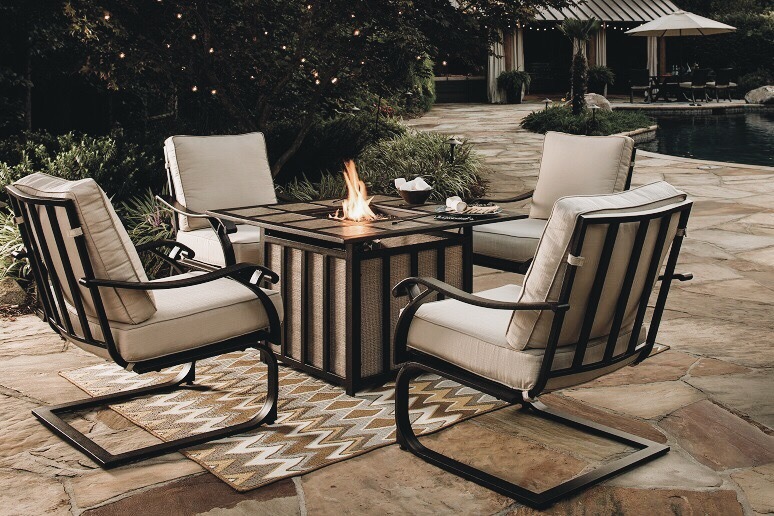 We’re here to help you welcome patio season and turn your outdoor living area into your new favorite place. Here’s how you can create a cozy patio space. 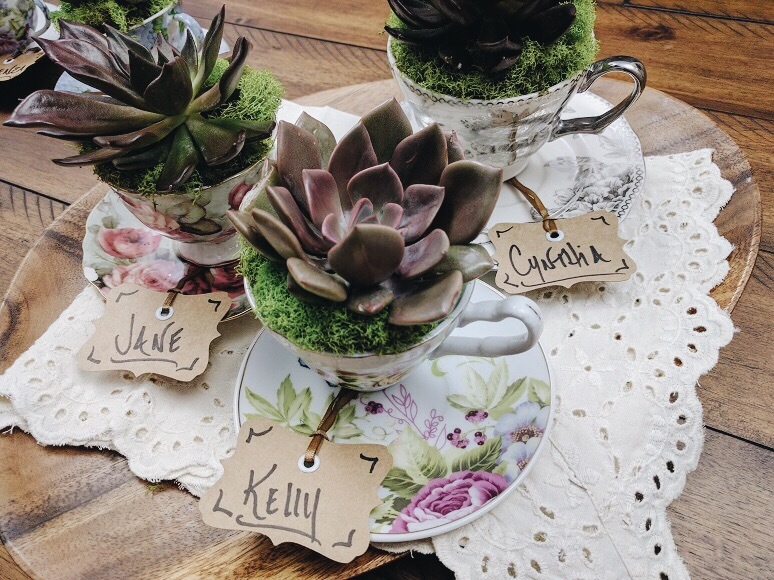 Gather your friends and family outdoors for a charming garden party. With just a few preparations you can create an outdoor oasis everyone will love. The key to a successful movie night is great planning and good weather. 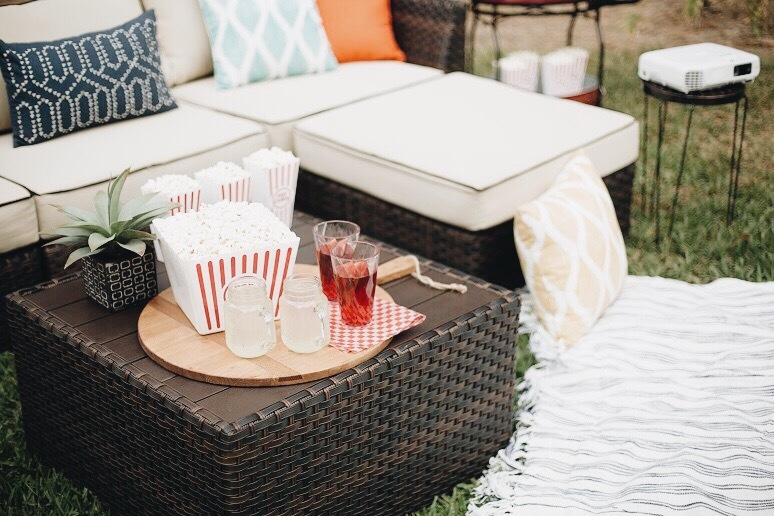 Here’s helpful tips on how to get started with your outdoor movie night plans.